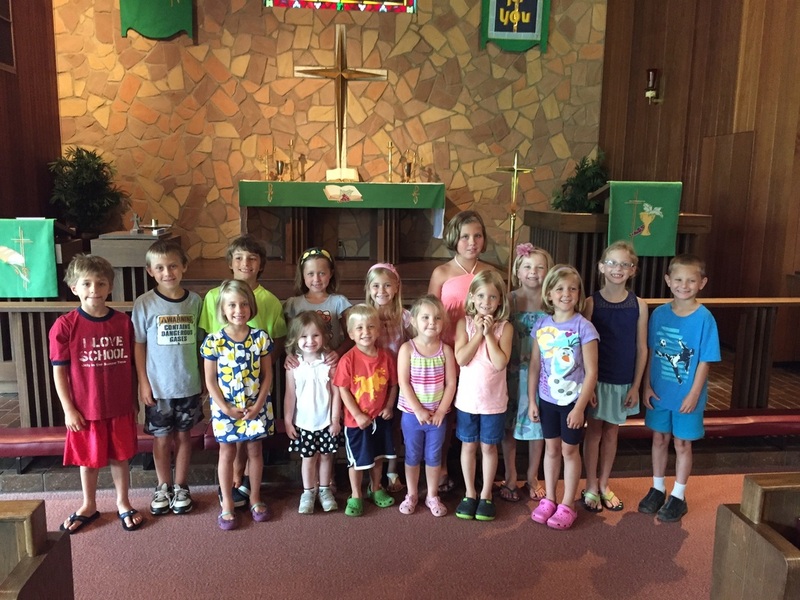 Join us at Good Shepherd for Vacation Bible School August 13-17th! The theme this year is God working good through us. The kids will learn about God's salvation and love for His people through Bible stories, crafts, and more! Singing the opening 'Good Morning' song as the kids arrive at the 2015 VBS. VBS organizer, Emily Anderson, leading the kids in a review of the day's lesson, songs, and Bible verse. New Jersey District of the Lutheran Church—Missouri Synod (LCMS).